Foundedin September 2015, MDC Medical Technology Co. Ltd. employs 105 people, with aregistered capital of RMB 20 million, belonging to the Shandong Maidesen group.The company locates in 663 Ji Yan Lu，HuaiyinDistrict, Jinan City and covers an area of 6000 square meters, including 2200square meters workshop. The design and construction of workshop is based on thenew edition of the national GMP standard. We have built production workshopwhich meets 100 thousand environment purification standard for the internationalpharmaceutical industry. 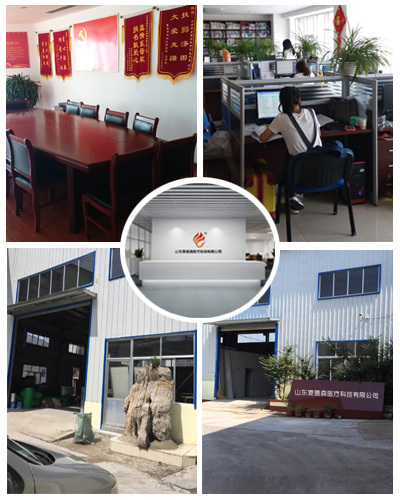 The company specializes in the production of plastic container packaging products.A strong and experienced workforce who belong to the original Wenshangplastic-making industry make we are better positioned to grow business. Thecompany is grounded on high-end and introduce the most advanced productionline, equipped with advanced physical, bacteria examination laboratoryfacilities. Products mainly focus on high-end medicine, food and otherpackaging. Guidedby the purposes of varieties, excellent quality, low-price and goodreputation,the company remainscommitted to cooperating sincerely with you for mutual business development. AtMDC, we strives to grow and thrive business by building a strong talent pooland leading technologically. MDC seeksto leading in excellence towards scientific management, improved productionprocesses and high-quality products. That is how we can build MDC into astandard setter in industry service and one of the world’s most trusted andinfluential producers.